I love the first day of classes: The anticipation of new ideas to explore, the possibilities of papers and projects, the expertly curated reading list (i.e. syllabus) handed out that will map the course through a new world. But there is also doubt: Will I be able to understand these ideas? Will I complete these projects? Will I get the reading done and be able to speak articulately about it in class? Can I do this? As I start my second year as a PhD student, what I’m interested in researching/doing/becoming/contributing is much harder. This past year I had a pretty good answer – something about trying to understand how schools change – but it was so new, all about exploration and learning. I feel like I spent this past year backpedaling through paradigms and theories, trying to find an epistemological framework that resonates with me and a topic area that I’m passionate about and can actually study. As my colleagues went back to work, the school year starting, I found myself longing for the predictable to do list of preparations to make for students arriving. I wanted that productive, task-oriented work where you know what you’ve accomplished. Maybe I could go back to that world? My advisor said to me that starting your second year is when you look up and realize how far away you are from shore. I didn’t even realize that I’d been keeping tabs on the shore, the back up plan, my escape to safety – you know – in case this whole PhD/academia thing doesn’t work out. But it will. Books will get read, papers will get written, projects will get finished. I’m sure this year will fly just as last year did, though hopefully I’m closer to identifying my interests at this time next year. 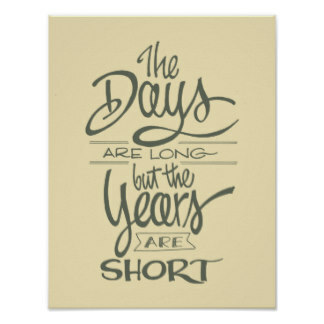 The days are long but the years are short. So I’ll tamp down the doubts and plan out my work and just keep swimming.